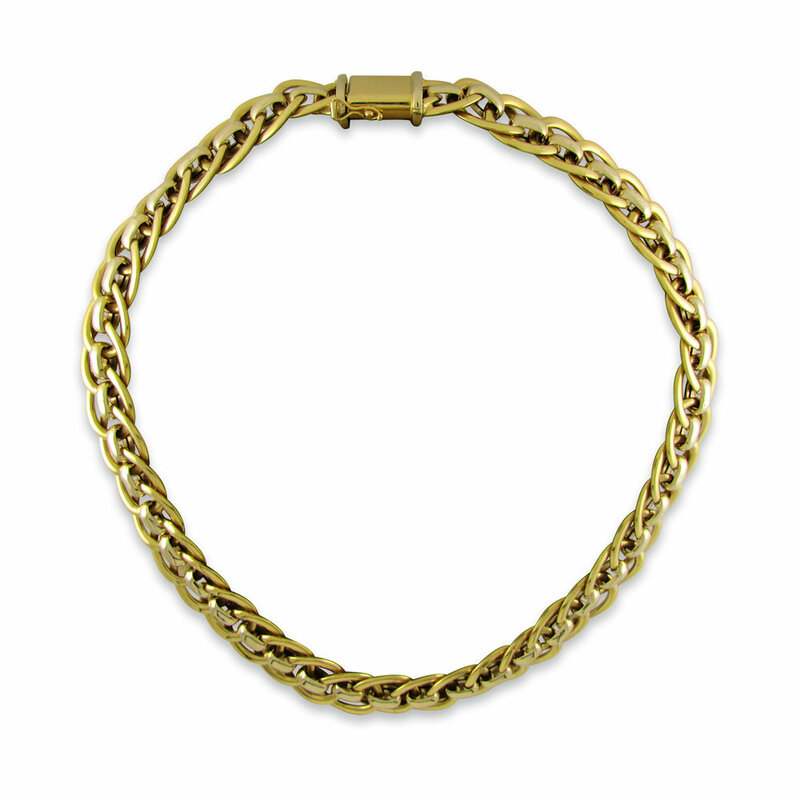 18KT yellow gold flat interwoven link necklace. 18 inches long, 1/2 inch wide. 54.8 grams. Italian. Stamped with a star and 580 AR.